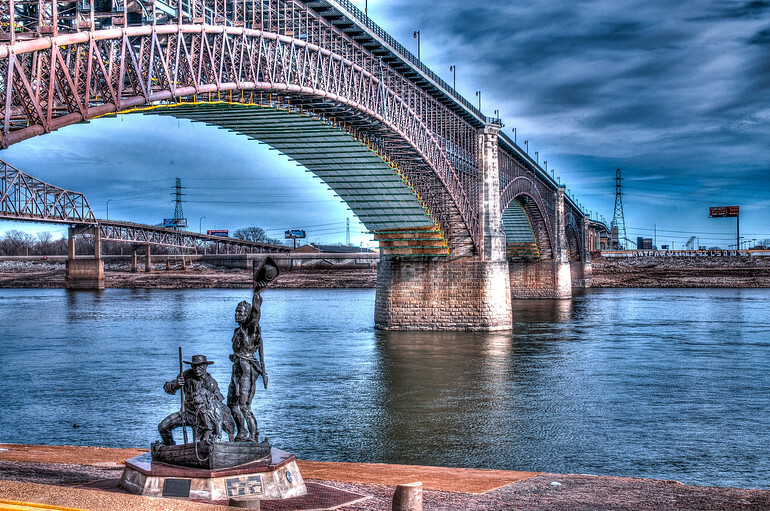 This is a photo taken a few years ago at Eads Bridge. This photo, like many, was processed with Photomatix and Lightroom. This give the interesting “surreal” look and high-definition. Apparently, the statue of Lewis and Clark has been moved because it spends a lot of time under water due to flooding!